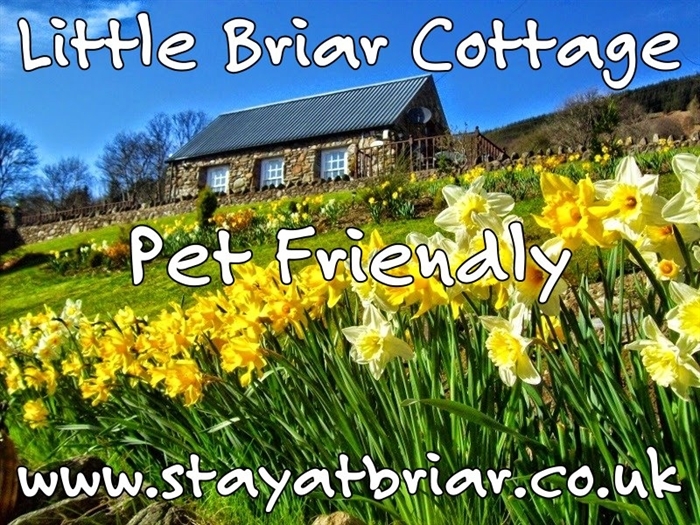 Welcome to Briar Cottages luxury and pet friendly self catering in Lochearnhead village where fishing (in season), petanque and fun putting are inclusive in the garden on Loch Earn. Choose luxury 2 bedroom en suite Briar Steading or pet friendly Little Briar for holidays and short breaks with exceptional south facing views - available all year round. 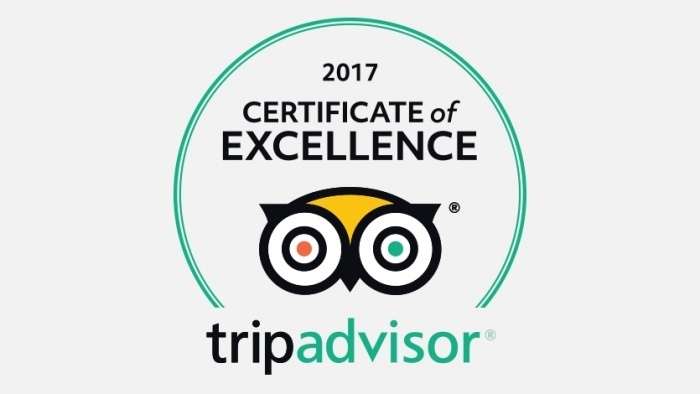 Owners Fraser and Kim Proven were awarded the maximum 5 out of 5 rated TripAdvisor Certificate of Excellence 2018 for customer excellence. 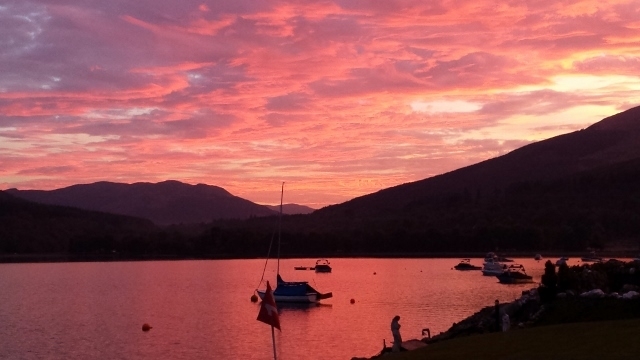 We - Kim and Fraser Proven - look forward to welcoming you to Briar Cottages self catering on the naturally beautiful banks of Loch Earn in the village of Lochearnhead, whether you book a week, fortnight or short breaks from 3 nights. Book from ANY start day of the week tom suit your holiday break. 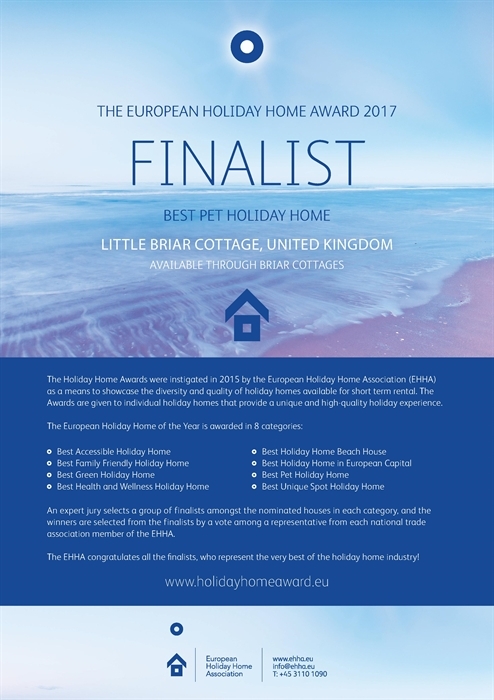 Choose spacious luxury cottage Briar Steading with its open plan lounge, wood burning stove and 2 bedrooms en-suite or pet friendly cottage Little Briar. Briar Steading sleeps 3 plus a baby in a double and single bedrooms. 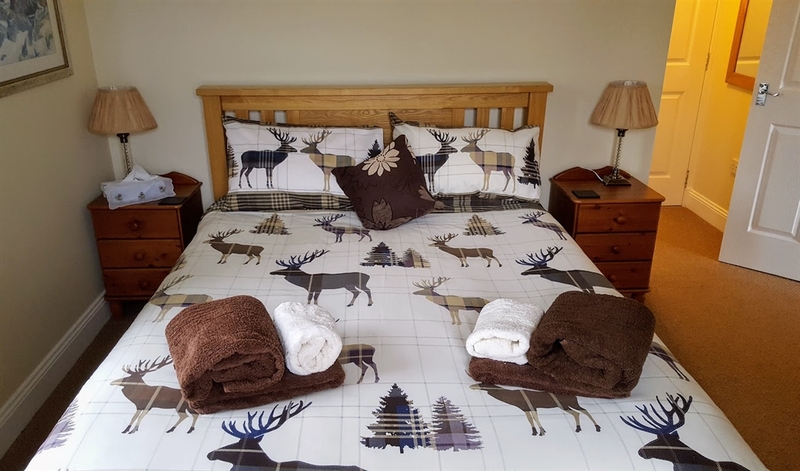 Briar Steading has a King size bed and bathroom / power shower ensuite plus a twin bedroom with a large walk in wet shower room. 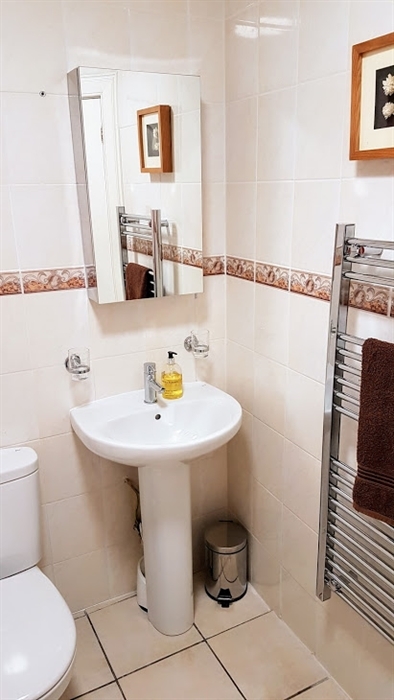 Little Briar sleeps 3 in a double and single room with a shared bathroom and power shower. 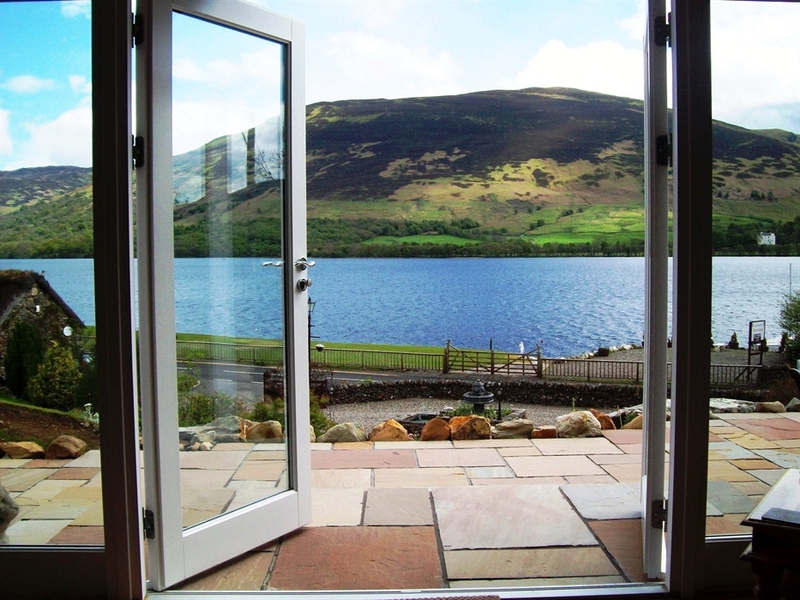 Both cottages face south over Loch Earn with views of Edinample Castle, Ben Our, Glenample and Stuc A Chroin Munro. 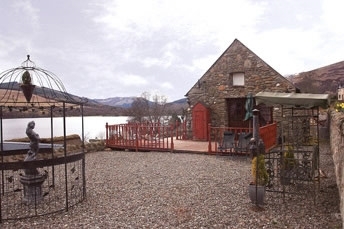 Briar Cottages face south, boasting exceptional views over Loch Earn to Edinample Castle, Glenample and Stuch A Chroin. The cottages sit within three acre landscaped gardens (including a 250ft loch garden) on the ancient site of a B Listed thatched cottage (known as Easter Achraw until 1900); once home to MacGregors, MacLarens and other crofting families from regional clans, who were tenants of The Earls of Breadalbane (Campbells) within the Parish of Balquhidder. In the 17th century Easter Achraw farm land was owned by The Earl of Atholl and was within the Parish of Comrie. Three Acre Landscaped Gardens, Loch Garden fun and our B Listed Thatched Cottage #IAD2016. 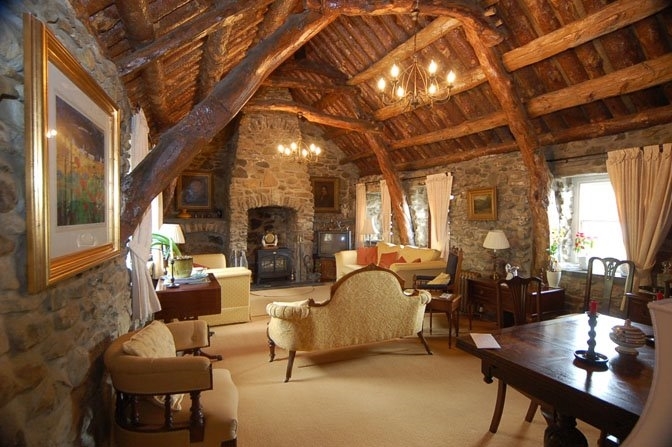 We invite guests to see inside Briar Cottage to marvel at the original Scots Pine timber cruck frame ceiling in the lounge under the thatched roof and to hear stories of past tenants and Lochearnhead folklore. 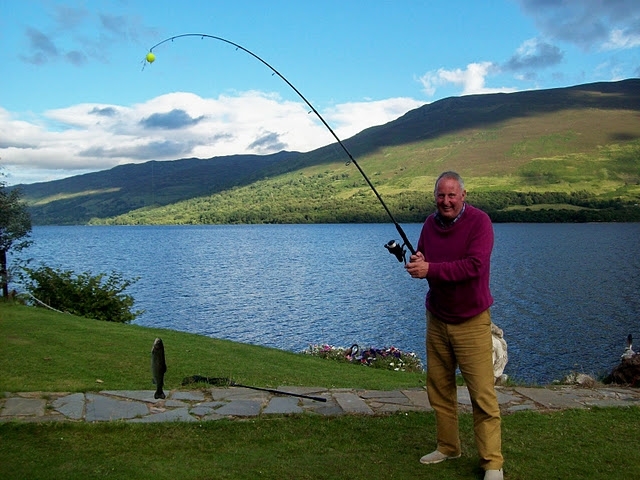 Our guests are also invited to use the 250ft garden and jetty on Loch Earn for trout fishing (15th March to October 6th), boat launching from the slipway, mooring, Petanque (Bocce Ball) and fun lawn putting. Visit our summer house (heated in winter) and use the picnic tables around the grounds. Pets enjoy the large paddock to the rear of the cottages leading up to an old railway walkway and they love to splash in the stream that runs the length of the gardens. 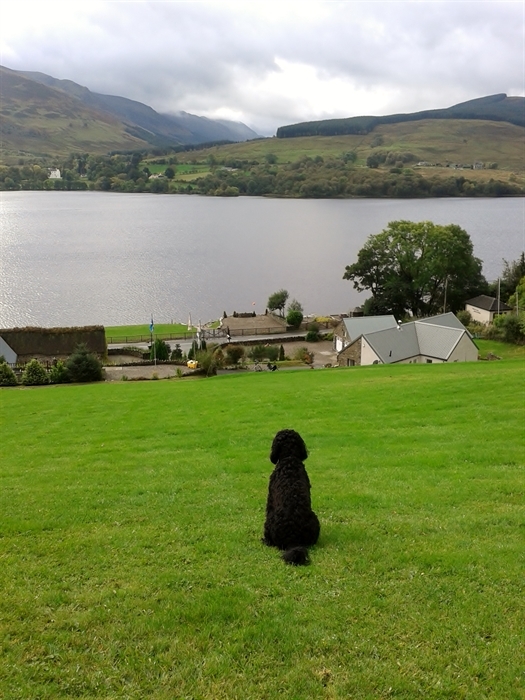 Pets can also swim from the garden on Loch Earn if you let them. 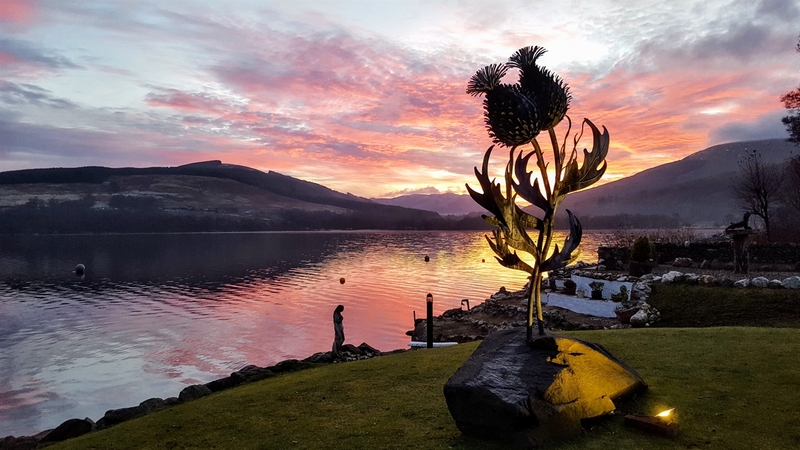 We are proud to tell you that two of the regional Scottish Thistle Award winning #BLiSStrail art installations, are on display in Briar Cottages loch garden. Things To Do in This Pet Friendly Village and Area. 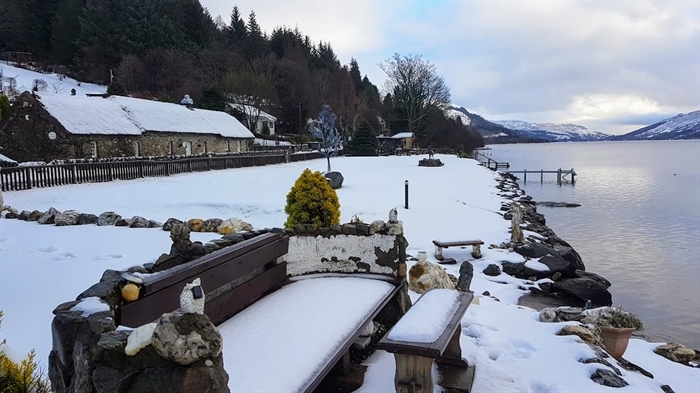 Wildlife enthusiasts will think that they are living in an episode of BBC Springwatch here as it is possible to spot a wealth of critters that share Briar Cottages and Lochearnhead's habitat all year round. Throughout the seasons. red, roe deer and stags visit the gardens as do oyster catchers, Canadian Geese, sandpipers, pied wagtails, swallows and martins. Herons, red kites, golden eagles sea eagles, bats and woodpeckers have all been seen. Red squirrels and pine martens have been spotted in the area too. Mallards hatch ducklings on the grounds and bring them to the loch garden to feed. 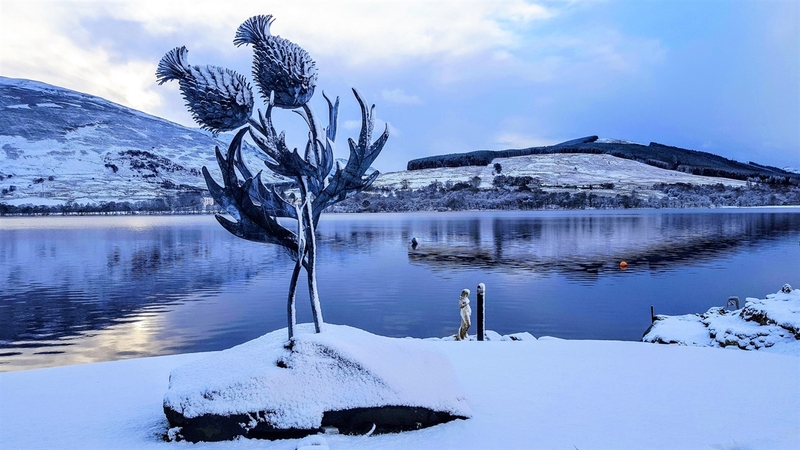 Osprey pairs display their distinctive wings and fishing skills close to Briar Cottages loch garden all summer, to the delight of many and otters have been seen on a few occasions. 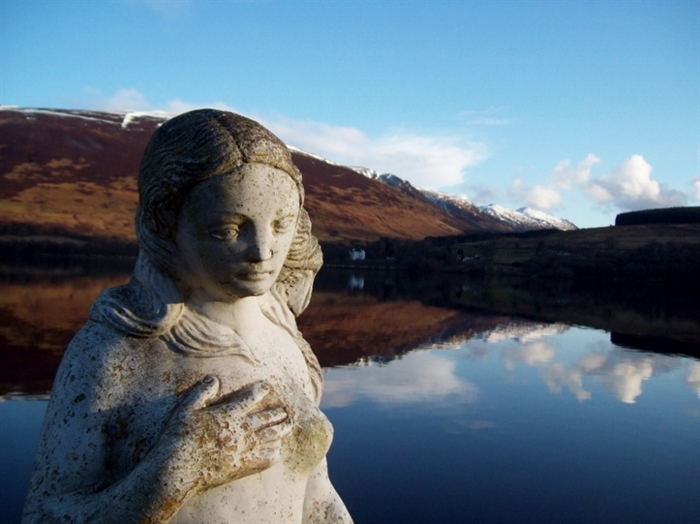 We are members of The Loch Earn Tourism Information group. 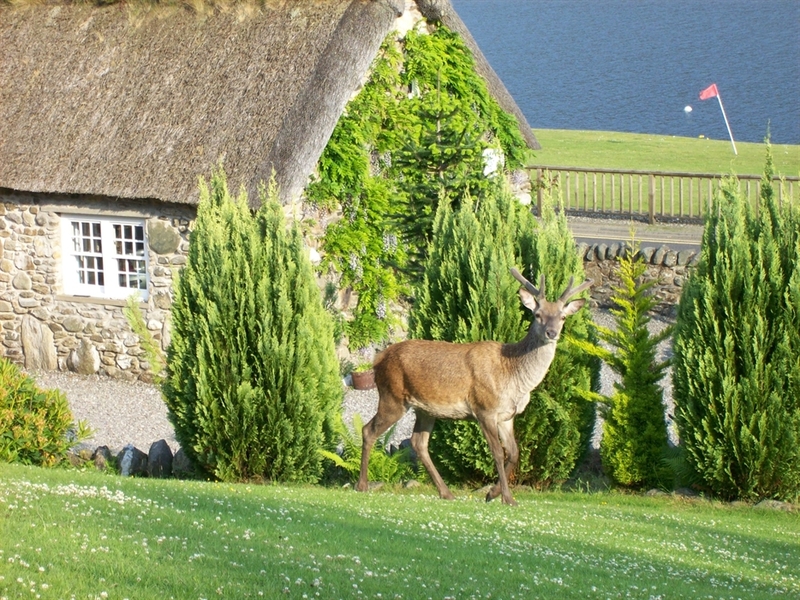 Guests who prefer a personal service can book a Hidden Glen Safari tour. 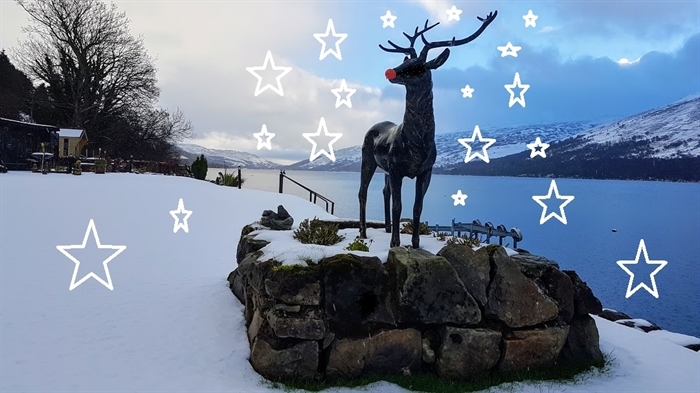 Guide Alan Sneddon will pick you up from Briar Cottages in a Landrover and share his telescope and knowledge on where to spot local wildlife around the Braes O Balquhidder (Rob Roy MacGregor's stomping ground and final resting place). Did anyone see the Chanel 5 series "A Year In The Wild" filmed in The Loch Lomond and The Trossachs National Park with Gordon Buchanan? 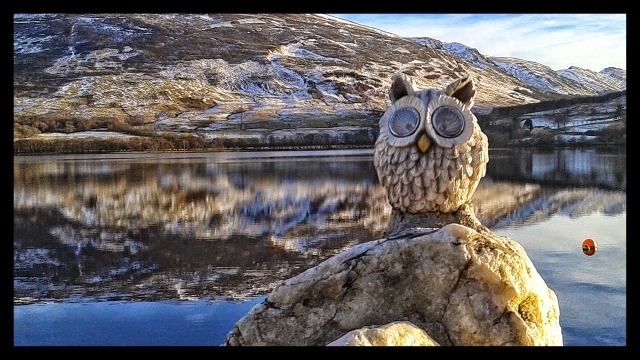 A lot of the scenes were shot in Glen Ample opposite the cottages where they filmed deer, white hares, owls and dippers, ably guided by estate manager Mile Holiday of Glenample Estates..
Lochearnhead has a village store selling essential groceries, newspapers, fishing permits, bait and floats, hot pies and drinks. The shop is owned by Owen and run by locals. The Post Ofiice also sells animal products, cards, Maps gifts, ice cream and souvenirs. Asda, Tesco and Sainsbury's deliver to Briar Cottages if you wish to pre arrange your shopping for self catering. Killin village (7miles has a Co-op open until 10pm most nights and there is a petrol station shop Lix Toll, on route at about 5 miles. 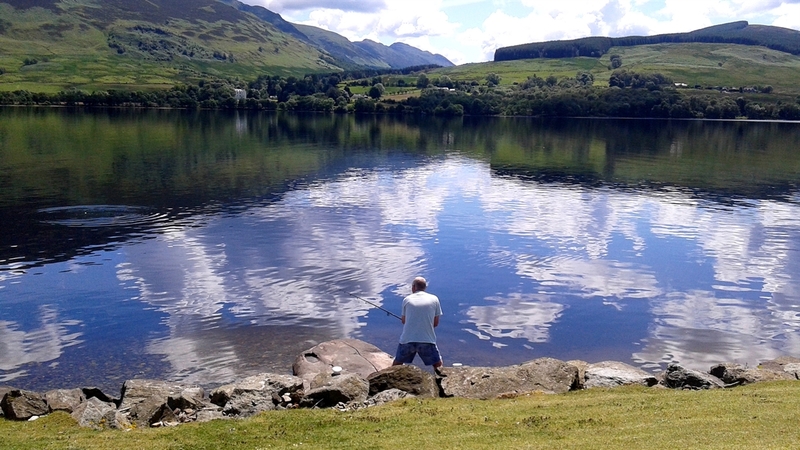 Callander (14 mles) has a Tesco open 6am to 11pm, St Fillans Shop (east end of Loch Earn) sells essentials and hires out fishing rods. Comrie Village (12 miles) offers a butcher, baker, vegetable shop, Spar, post office, pharmacy, bank, pet shop, delicatessen. Briar Cottages grounds have blackcurrants, brambles (blackberries) cherries, gooseberries and sloe berries. 3 apple trees were planted last year in time for Year of Food and Drink Scotland 2015. Fraser will plant a herb garden to accompany the magnificent hardy rosemary bushes on the grounds. Guests will be invited to use any of the edible plants and fruit growing within the three acre grounds to enhance their self catering experience whether rosemary with Venison in winter, blackcurrants for juice and sauces in summer or sloes for the gin in October. We have also added some recipe books including "A Feast Of Scotland". Look out for our promotional offers of food and drink gift vouchers to spend in local restaurants in conjunction with selected holiday weeks. Briar Cottages guests can celebrate food and drink in style around here. 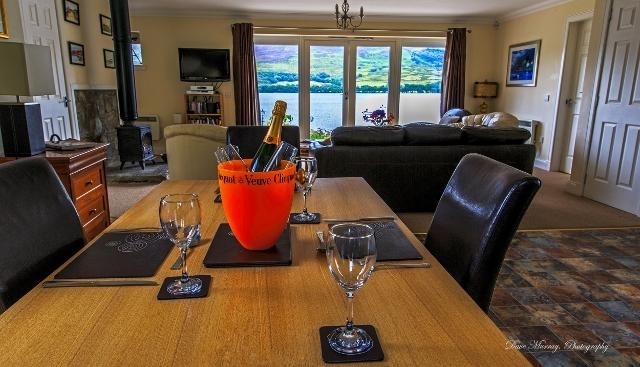 We can boast top chefs, award winning restaurants, heavenly cakes and biscuits and a micro brewery with soon to be bottled Loch Earn beer and cider in this area. 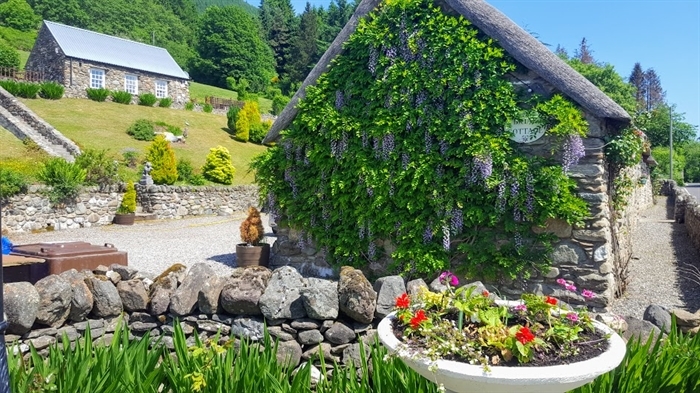 Variety tea, coffee and cake lovers will enjoy what's on offer whether you are passing through the A84 / A85, out for a day trip, staying here on holiday or recovering after a walk or cycle. Ask us about cafes, hotels and restaurants in the area offering snacks to award winning fine dining. 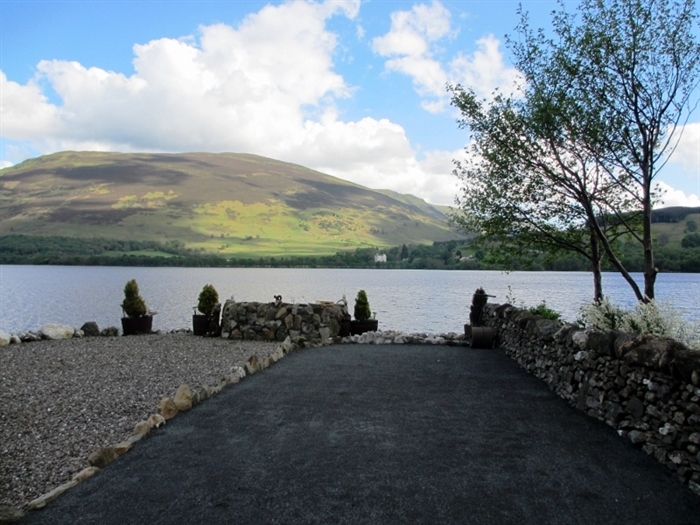 Both Lochearnhead Hotel restaurants and lounge bars are within a 200m stroll of Briar Cottages garden gates. They will welcome well behaved pets in the lounges. The Clachan Cottage Hotel offers bar meals in a sporty lounge with TV's, a jukebox and a pool table. The bar was refurbished in 2013 and there is a dining restaurant option. The Lochearnhead Hotel is family run. Owner and chef Robert Kerr prepares all the meals receiving consistently high praise reviews for his dishes. 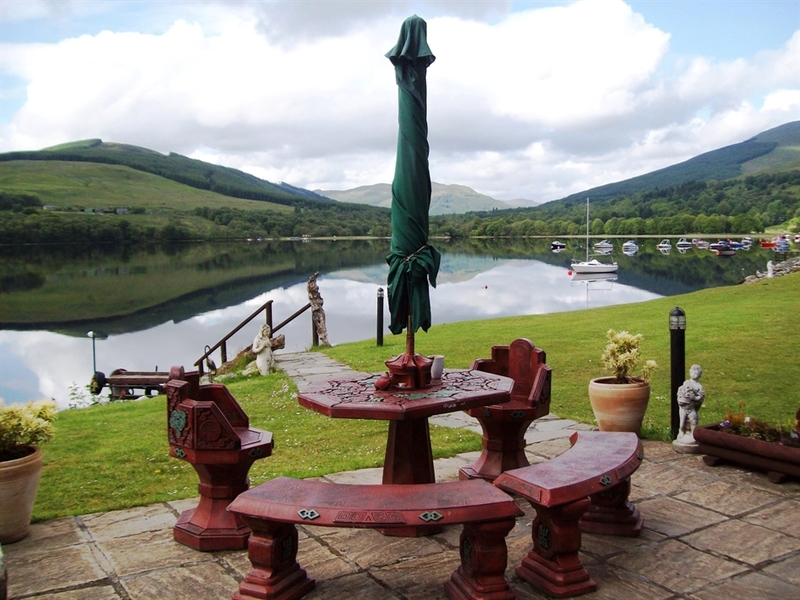 Both hotels face south over Loch Earn and have outdoor seating and tables. 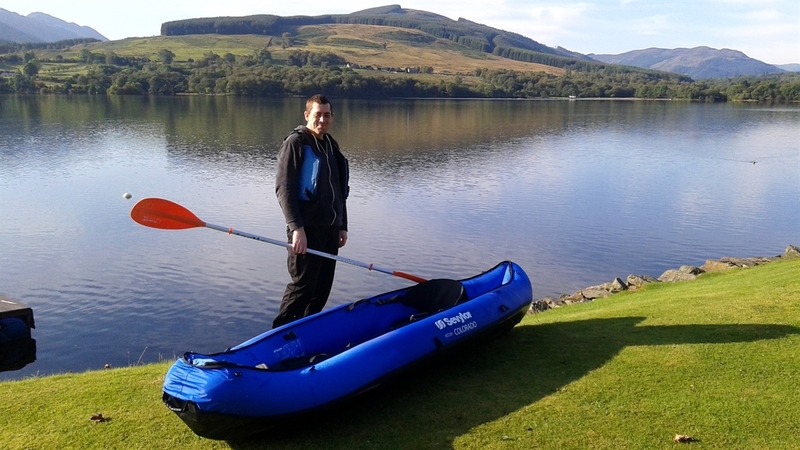 (NB The Lochearnhead Water sports centre and cafe is not currently operating). If you want a very quick or casual bite or cuppa, then pies and takeaway beverages are supplied from the Lochearnhead village shop. 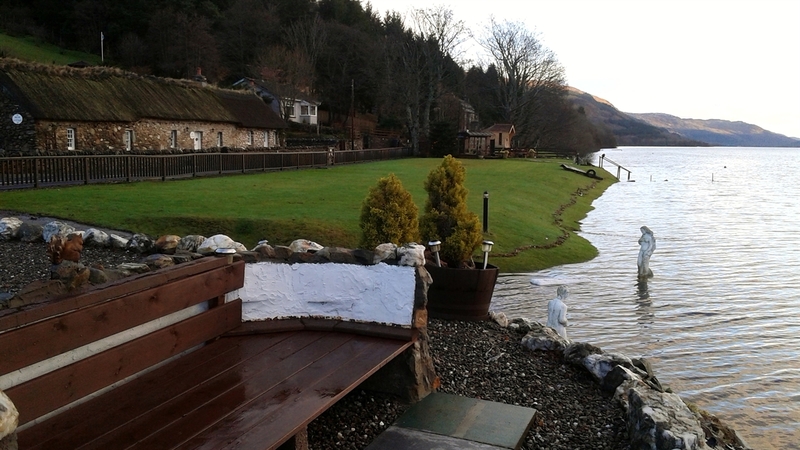 The St Fillans village shop at the east end of Loch Earn offers a cafe. 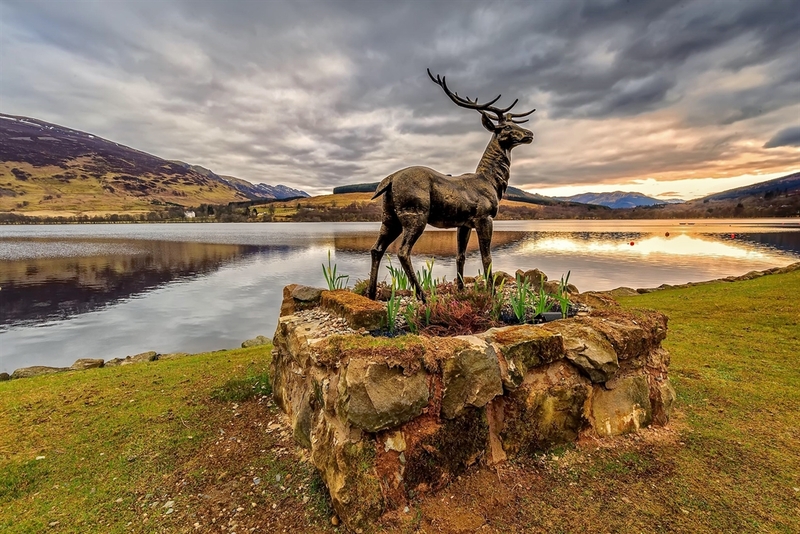 Within 3 miles on the A84 is The Golden Larches Restaurant and conservatory offering an extensive menu of all day meals and snacks plus a takeaway menu, e.g. fish and chips at weekends. A great stopping place for home baking. A little further on down the slip road from the A84 signposted Balquhidder / Rob Roys Grave is MHOR84 Motel. This lively bar serves excellent quality dishes using fresh and locally sourced produce from wee and big breakfasts to evening meals. MHOR cakes and beverages are on display in a glass cabinet as you enter the premises tempting even the strongest willed with an array of delightful scones, tray bakes, tea breads and cakes. 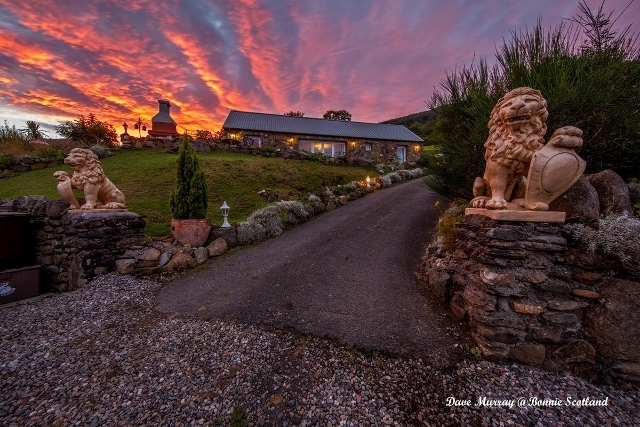 One of the hands on owners - creative chef Tom Lewis - is also behind the successful Monachyle MHOR, a luxury boutique hotel in Balquhidder offering fine dining and creative dishes that appeal to foodies worldwide. Further down the A84 is Creagan House in Strathyre village. This is another fine dining experience at an excellent value fixed price. Master Chef owner Gordon Gunn's dishes are served at highly polished mahogany tables in a Baronial style hall. The restaurant is one of the first in the country to achieve Visit Scotland's "Taste Our Best" accreditation for excellence, serving dishes that use at least 40% locally sourced, reared and grown ingredients. 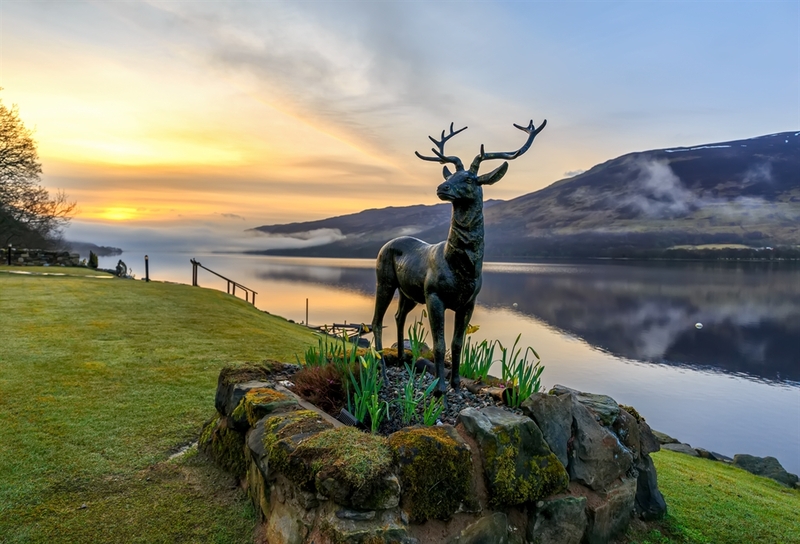 Travelling East from Lochearnhead to St Fillans you will find the privately owned Four Seasons Hotel offering tempting bar meals, elegant afternoon teas and fine dining with pretty views and sunsets over Loch Earn. 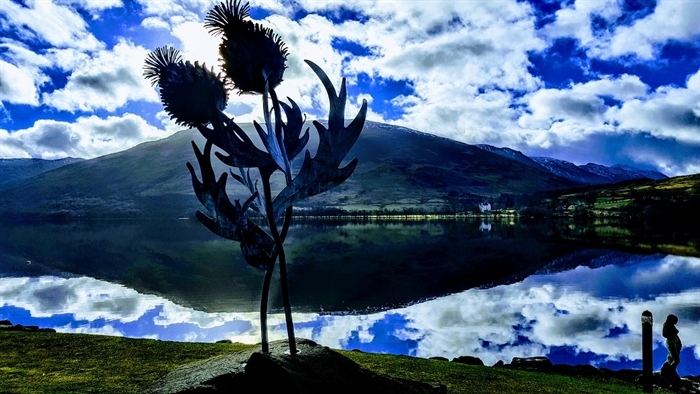 Spot Rob Mulholland's Mirrored man sculpture in the loch near the hotels garden and jetty on Loch Earn. 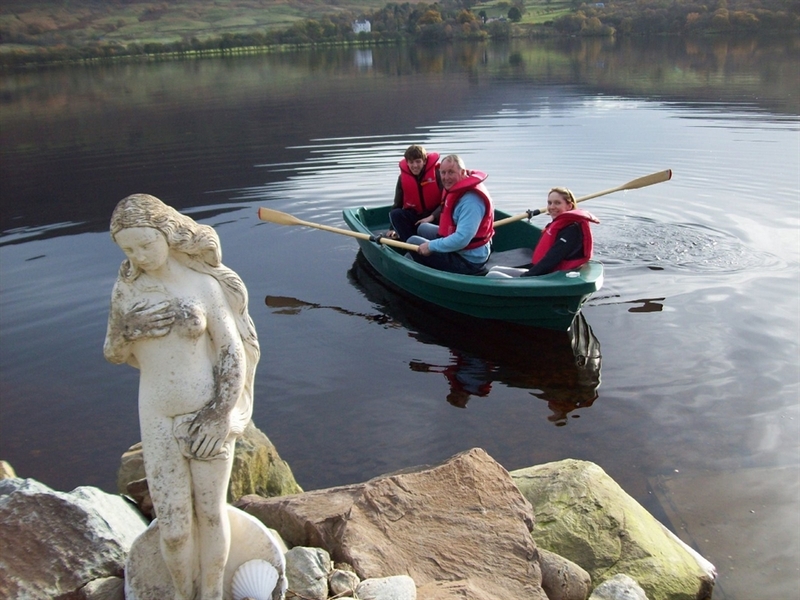 The Achray House Hotel on Loch Earn offers delightful food from a friendly husband and wife team. . The Loch Earn Brewery Hotel is a welcome addition to the area with The Brewers Tap pub serving real ale. 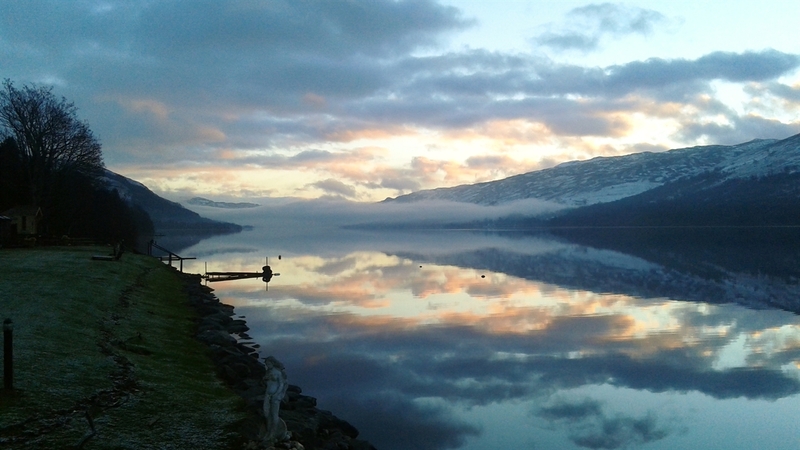 The Loch Earn Micro Brewery is under construction and will produce Loch Earn Beer and Cider in 2015 St Fillans Golf club (Sandy Lyle's favourite inland course) at the head of the loch welcomes visitors into the clubhouse for excellent value meals. There are many more restaurants in Killin and Callander and further afield. See this map for more information on Briar Cottage favourites - http://goo.gl/maps/L2fhF There are a number of outside caterers in the area who can provide food from nibbles to buffets including Mathew Duncan of Lochearn House -Lochearnhead, Carlotta Fraser of Catering By Carlotta - Killin, and award winning chef Tom Lewis of Monachyle Mhor - Balquhidder. 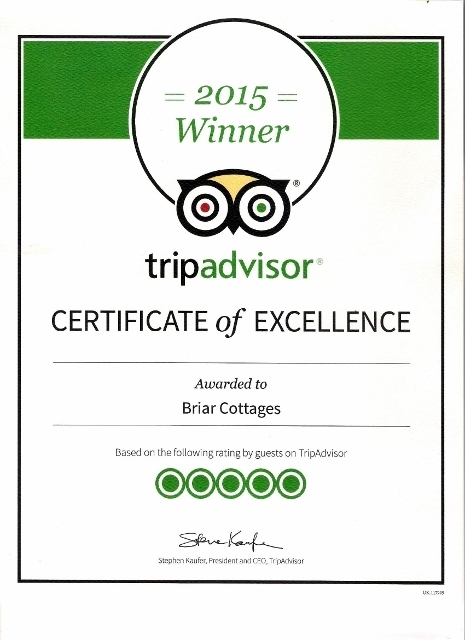 Why not book a buffet or home cooked meal for delivery to Briar Cottages. 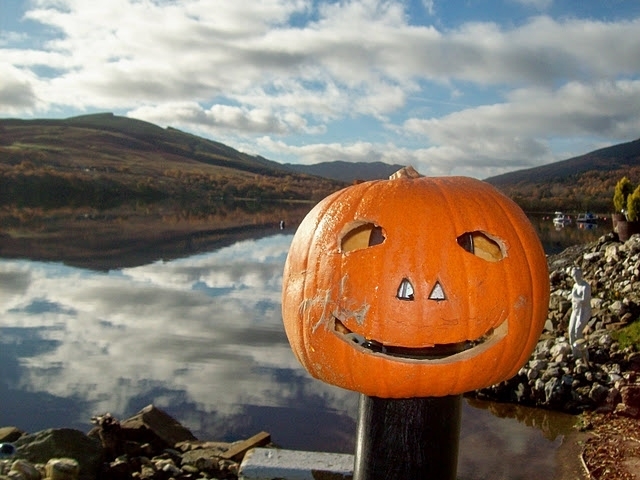 See our local Destination Management group - Loch Earn Tourism Information - for seasonal chef recipes, in this on-line recipe calendar for Scotlands Year of Food and Drink 2015. The 2016 theme for tourism in Scotland is Innovation, Architecture and Design. Find out more and look out for the YIAD16 logo designed by 23 year old graphic designer Maria Garcia Tena from Edinburgh. There are many fine examples of old historic buildings to ponder here for example, Edinample Castle and Ardvorlich House on the south Loch Earn Road, our B Listed thatched cottage once known as Easter Achraw and the neighbouring cottages of Wester Auchraw, Stonvar House, The Drummond Family houses at St Fillans, ancient sheilings on the drove road and the "new" Victorian layout of Strathyre. 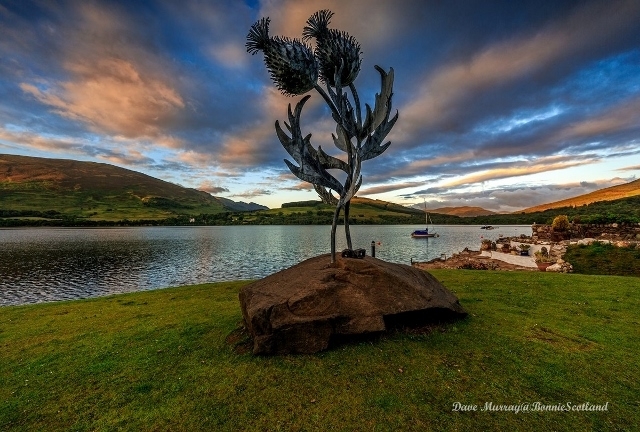 New for 2016 is the BLiSS Art Installation trail. 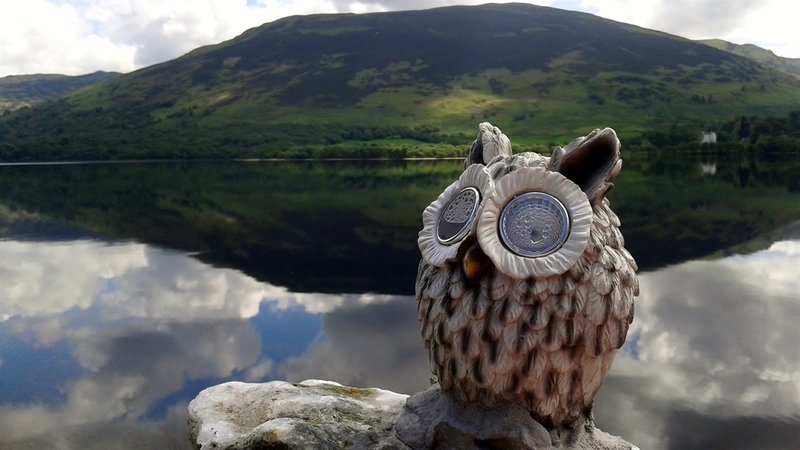 13 art installations and 10 ornamental features can be discovered around Balquhidder, Lochearnhead, Strathyre and St Fillans. .
Local annual events: The Lochearn Shears, The BLS Highland Games Lochearnhead, The Great Loch Earn Boat Race, The Stuc A Chroin Hill Race, The Strathyre Music Festival and The annual MHOR festival - see Loch Earn Tourism Information Events for dates and other events. 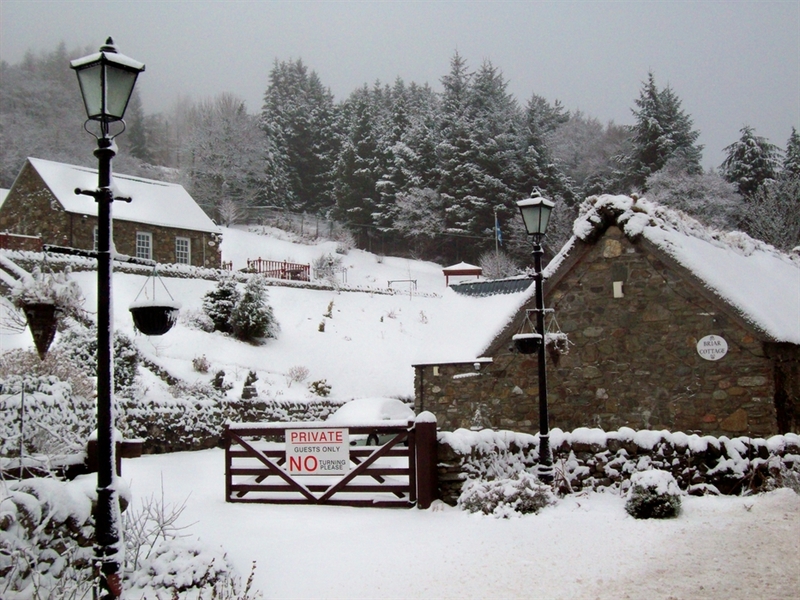 Briar Cottages is open all year round in every season. Pick any start day of the week enable maximum flexibility to fit in with your holiday and travel plans. Our minimum price is based on a 3 night stay. There are great reasons to visit this area in any weather or season. 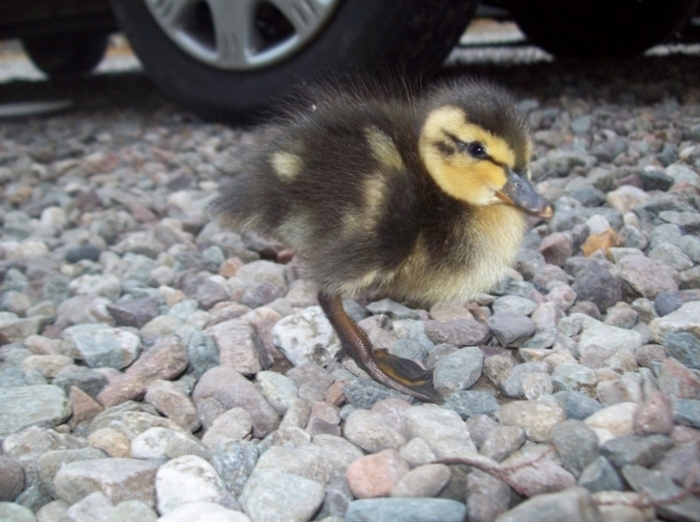 Wild mallards feed and hatch their ducklings on our grounds in Spring.. 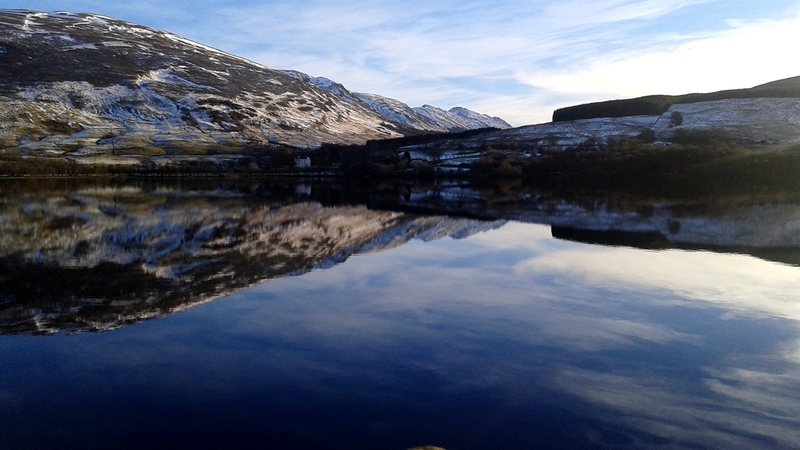 Fish in Loch Earn from March 15th. 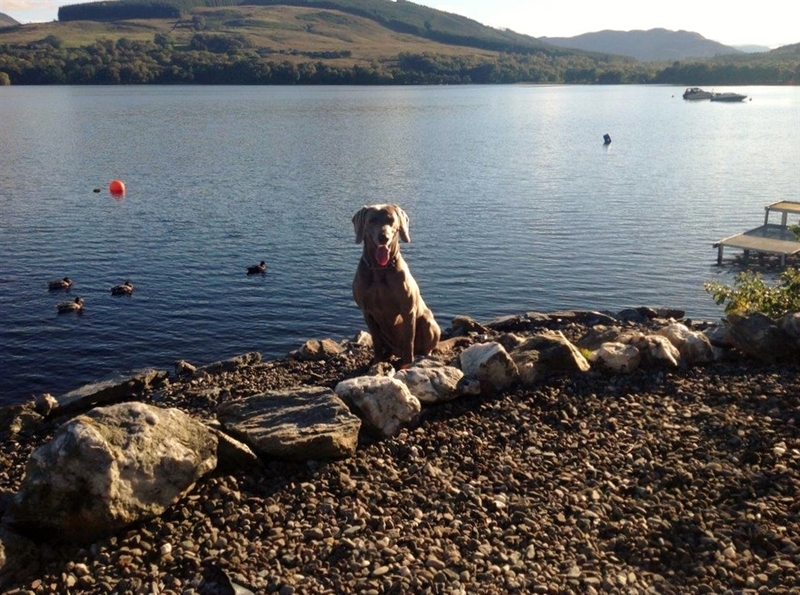 Swim in Loch Earn with your pet in summer. Play putting and petanque and sit in the summer house. Go waterfall hunting when rain has been heavy or visit the nearest swimming pool, whisky distilleries, castles, shops and the Scottish Antique Centre. 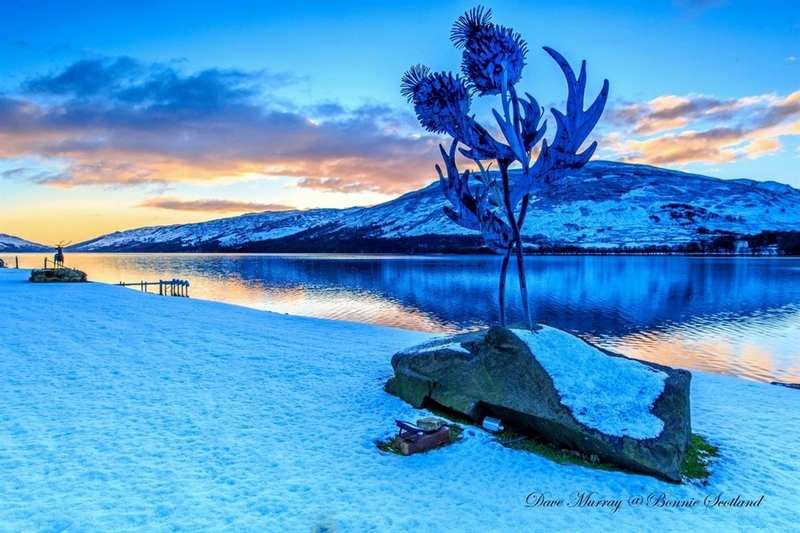 Take photographs of the loch in calm to stormy conditions from sunrise to moonset. Spot the grouse, pheasants and deer rutting in late Autmn when leaves are a stunning mixture of copper, gold and russet. Pick brambles and sloes from our garden and the railway walkway behind. Climb nearby Munro's and spot wild orchids on The Rob Roy Way. Look out for the ospreys, otters, beavers, badgers and red squirrels. Sledge down our garden slopes and make an army of snow men on the three acre grounds or nip up to Glencoe in less than an hour for skiing and snowboarding. Spot stars in the darkness with little light polution interference. Join in with villagers for indoor bowllng, yoga, keep fit amd Scottish Country dancing winter activities. You will be made welcome. Chat up the locals in winter by hotel log fires and suss out the live music nights. Book into Hogmanay, New Year dances, ceilidhs and firework events. Fraser and Kim were married in 1991. They spent 20 years enjoying weekend breaks and holidays in their motor cruiser on the west coast of Scotland as well as international holiday adventures. The cruiser was sold to build luxury cottage Briar Steading in 2010 though they kept the tender which they launch now and then from their slipway to Loch Earn. We aim to offer the best service that we can. See what previous guests have said. We are listed on TripAdvisor and Holiday Lettings review sites for anyone to read, volunteer feed back and share experiences and photographs with others. 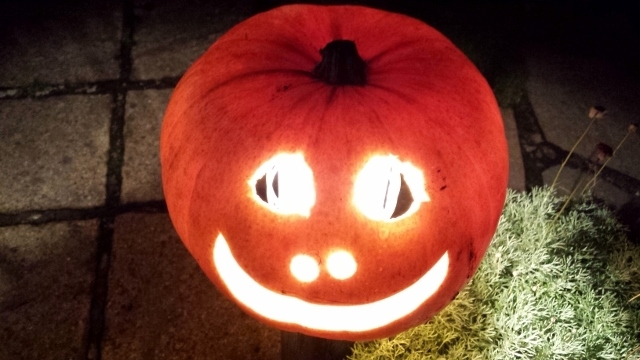 Keep up to date with Briar Cottages and area news on social media.